as to why the ‘Reformed’ part of this photo post means so incredibly much to me. Lately however, I have had much difficulty in writing with the ability to stay focused on the task at hand; it is something new for me. It’s a Process… Good practice is to continue composing my little shares here on WordPress regardless. I am a Reformed Domestic Goddess. I have had my own Cleaning Business for 7+ years (not accepting clients currently) with home cleaning, organizing, re-organizing, simple home-staging, plus extra errand and personal assistant jobs included. To the other end of the spectrum, in choosing to clean up the never-ending, ‘driving-me-crazy’ messes of others that I allowed to contribute to parts of my bad health–Unnecessarily I can see NOW! (Hind-sight IS 20/20)! I judged and judged and cleaned and cleaned til I lost respect for those friends, family, and started to not stand myself for the messes I was leaving behind in my own house…It got really bad. I still have ‘bad days’. But, MY TRUTH HAS changed. I had a second child whom is nothing like my first. It was literally killing me to keep up. Not worth losing myself trying. Leave it alone today, if it can be done tomorrow. CAN be done in the morning! I can sleep through the night knowing the dishes will stillll being waiting to be done in the morning. Goes for any other part of the day or apply to any other chore. —Wall to wall home furnishings! snuggle & read with the children….the ‘things’ that matter more. Under the couch is not a daily priority. When the 4 year old says, “whats wrong with the bathtub?” it’s time to clean the tub. Dust-Bunnies DO Exist! … and they’re not as dangerous as presumed. Grandma cleans houses other than her own! Letting dishes be washed by children in cool water, doesn’t get everyone sick! If you don’t live here, Your opinion doesn’t matter. I had to FIRE “Super-Mom”–she was completely useless to her children. I FIRED the spotless house cleaner. gloves…And THIS Momma: loves her perfectly imperfect home and everyone in it, just the way they are. I LOVE listening and watching my children grow. I love SITTING–a concept I had not heard of until almost too late. I love my family. We are so Blessed to have each other and this TIME together is irreplaceable.Most Importantly, I cannot get back once gone, is the time spent with my children.I decided from experience and learning from watching others (a very special family member) that the most important, is time. Has your opinion on cleaning house shifted by a cranky colic cuddler, or a cranky tempering toddler? *…I guess this post is kind of a thank you dedication to my cousin, you know whom you are, for constantly teaching me (& loving me) an immense amount of information regarding being a parent, children, and life itself; and for continuing to! 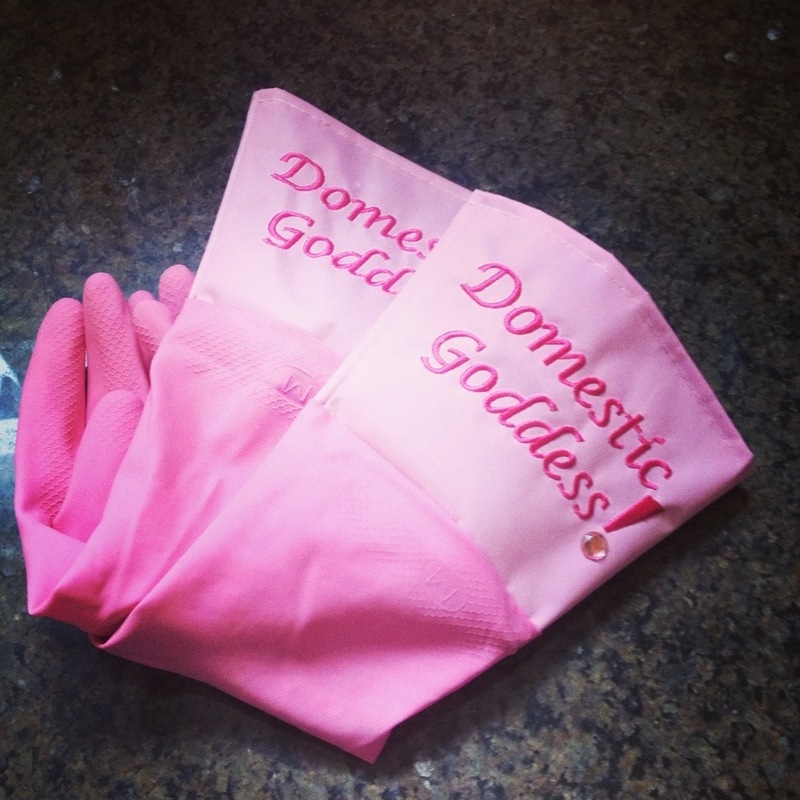 You “Reformed Domestic Goddess”You! LMAO!